I am very fortunate to still have my grandma alive and well at 90 years old, but not so fortunate that she has lost her short term memory. 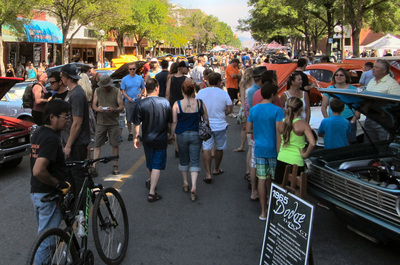 Conversations often consist of her asking me the same question over and over and me gritting my teeth in an effort to repeatedly answer as politely as possible. In an effort to have less talking and more doing time with my granny, I started to take her out on daytrips. 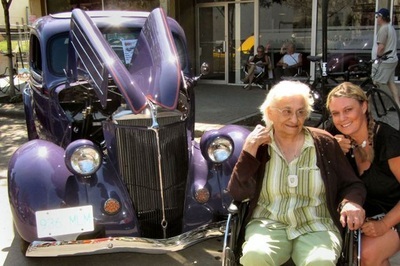 While she can still walk, she tires quickly so I take her out in a wheelchair looking for adventure. 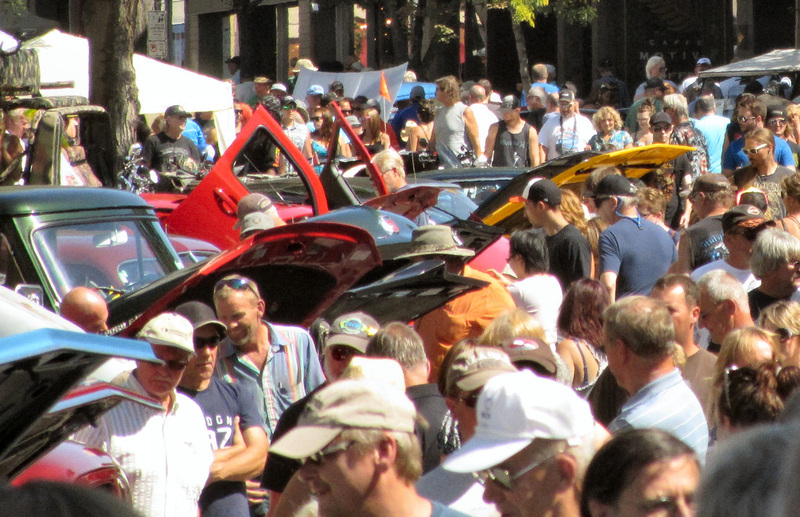 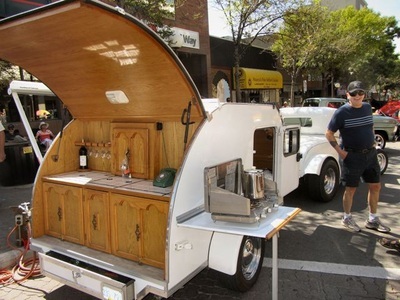 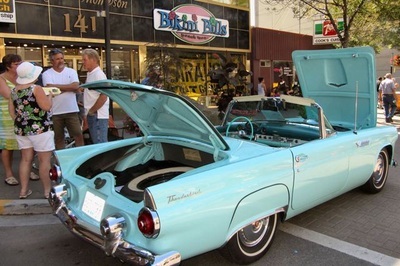 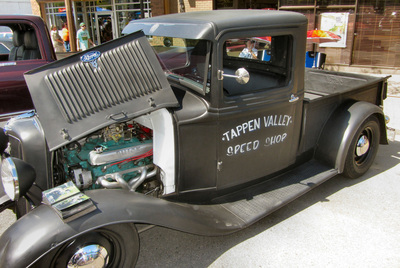 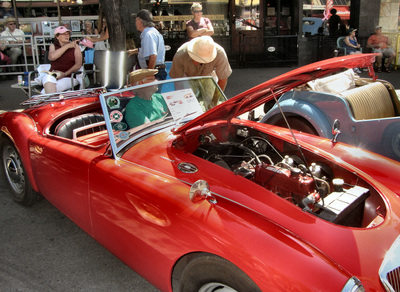 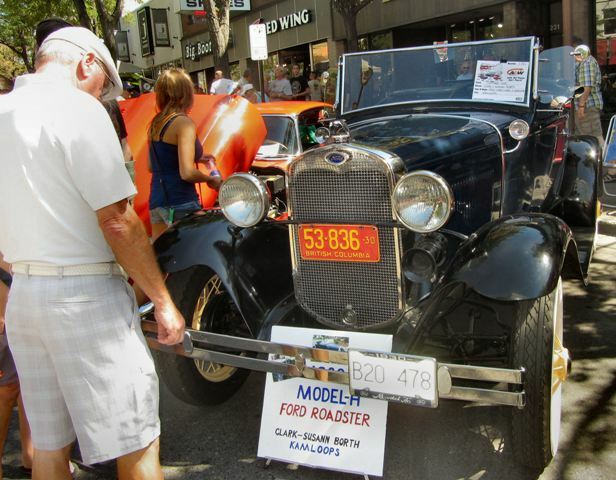 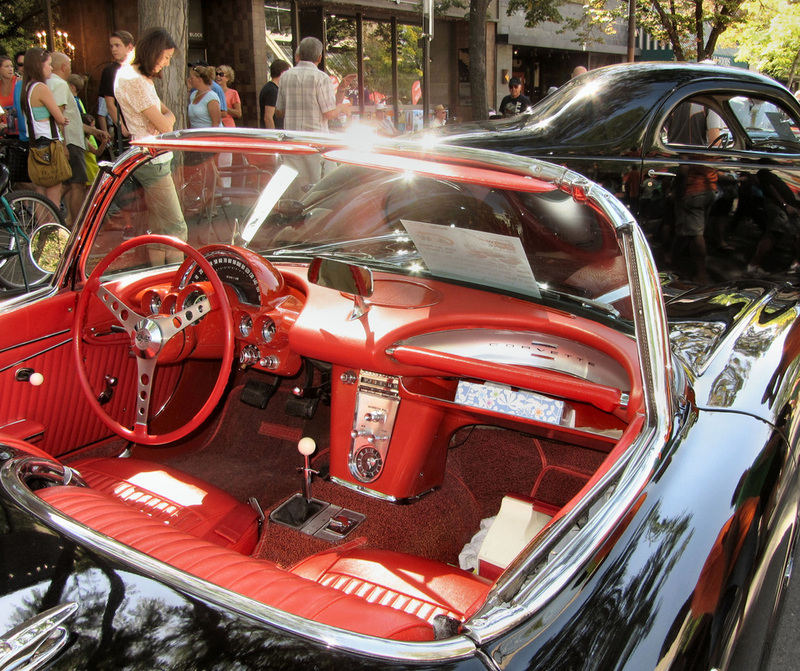 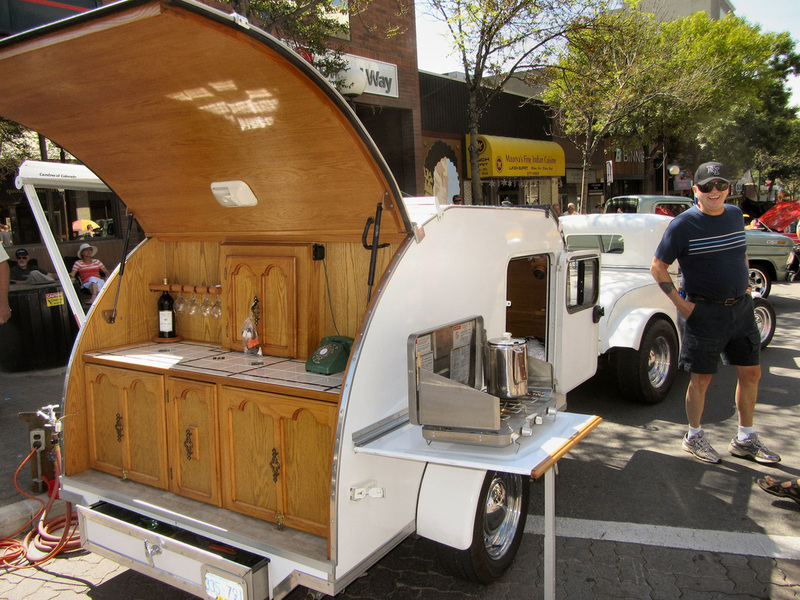 Our best adventure so far has been our jaunt downtown to the Kamloops Hot Nite in the City show and shine. 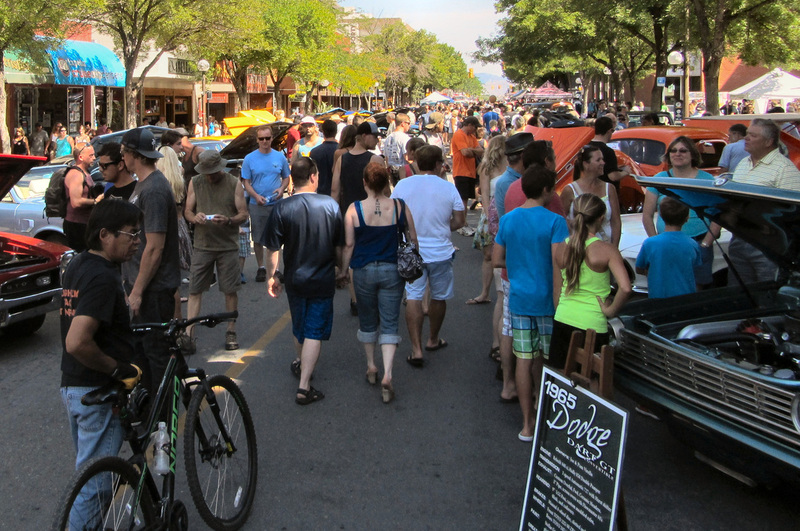 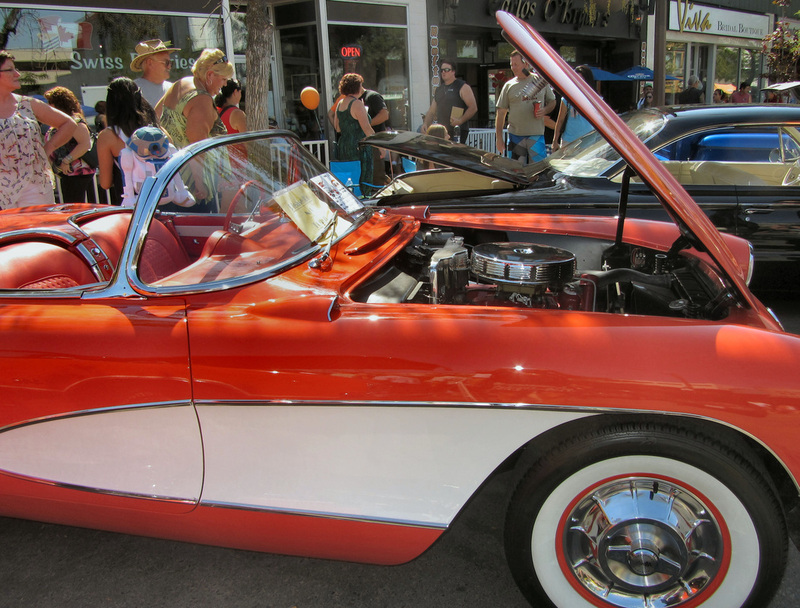 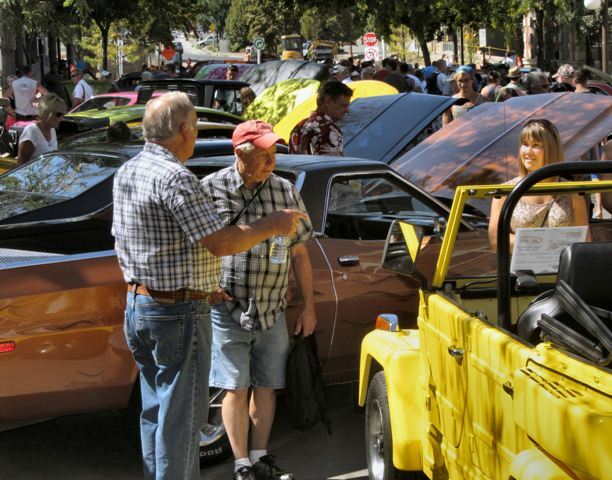 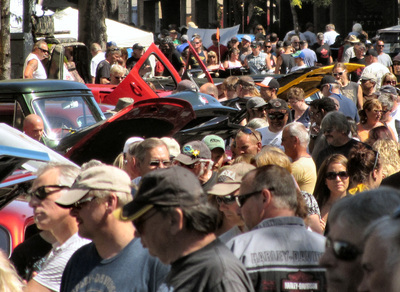 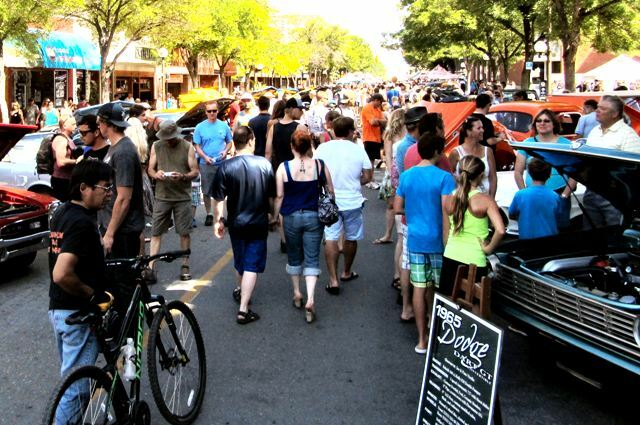 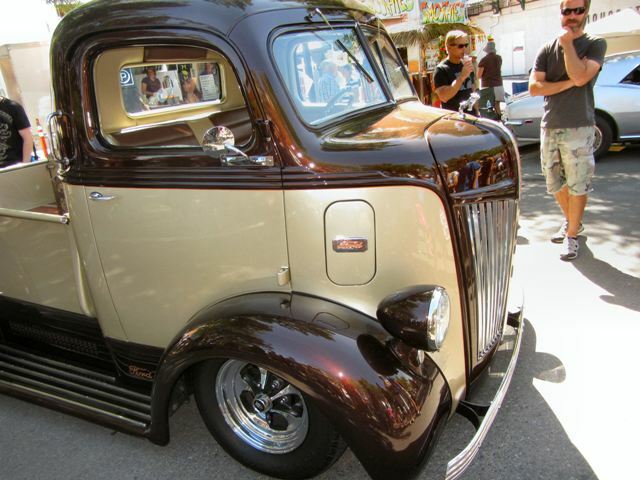 On the first Saturday of every August, over 10 city blocks are closed off to allow an array of Street Rods, Muscle Cars, Custom Cars, Vintage Cars, Transport Trucks, Street Bikes and a plethora of other classic rides to compete in the annual show and shine. As we meandered through the beautifully restored classics, running into many a familiar face, my grandma’s eyes lit up when certain vehicles brought her back to the various eras in her life when they owned the road. 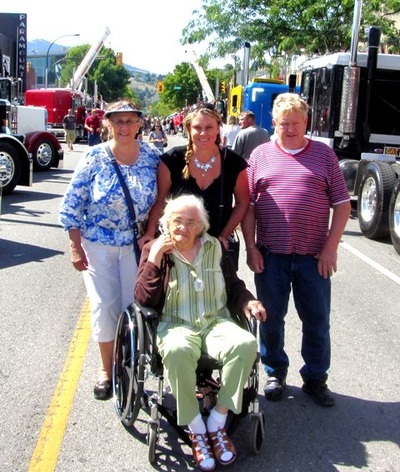 My parents met us for a portion of our journey and my mother pointed out the car that my father courted her with and the vehicle my grandma and grandpa made the journey from Saskatchewan to British Columbia in. The event used to be held in the evening, hence the name, but now attracts over 25,000 people so it is held during the day to accommodate the crowds. The show and shine is put on by the Hot Nite in the City Society which has proudly donated over $50,000 to local charities, non-profits and other organizations.